The FMF Turbine Core II silencer is a low maintenance, lightweight power retaining arrestor and silencer. The Turbine Core II silencer is top of the line product that has earned it U.S. Forestry Legal status. 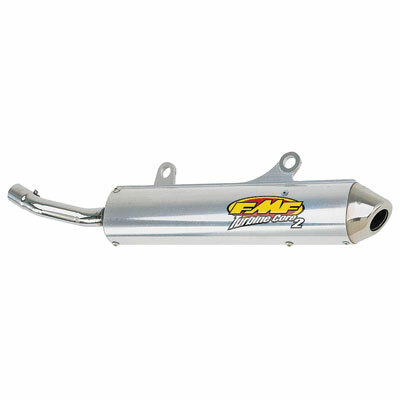 The FMF Turbine Core II silencer is durable and the most importantly track and trail proven unrestricted power. The FMF Turbine Core II silencer can withstand the stress and aggressive riding you can put it through.